Description: Join the pirate crew on their puzzle-adventure through Treasurelandia! 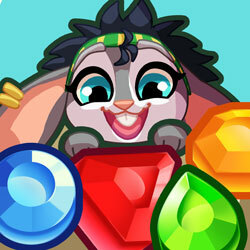 Match 3 jewels or more to create explosive combinations. Watch out for tar, fire cannonballs, and use the skeleton key to unlock diamonds. Complete each puzzle wisely to discover bonus levels!